You can’t encounter food items from the stable of Ayoola Foods and remain the same. The quality, the packaging and the alluring work environment of the organization located in Gemade Estate, Egbeda, Lagos attest to the company’s penchant for excellence. 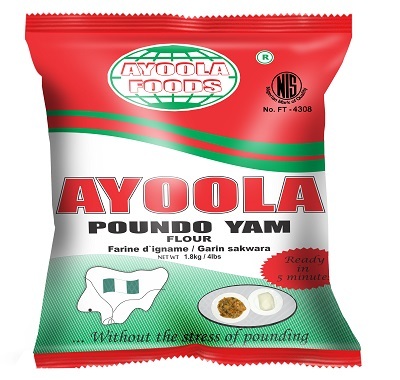 Unlike many Nigerian branded food items that were first sold in Nigeria before they were moved to the global market, Ayoola foods’ brands were well entrenched in the global market before coming home. 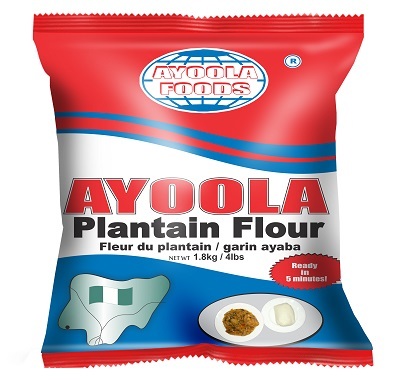 The products from the stable of the organization including yam flour (poundo yam), Plantain flour, Rice flour, casava flour and a host of other packaged food items were first tested abroad. The Managing Director of Ayoola Foods, Mr. Segun Olaye who is the brain behind the products had his eyes set on the global market. He believed the packaged food items were better sold abroad. And selling abroad meant keeping in mind global standard of hygiene and quality. So, the organisation was incorporated in September, 1991 with the initial focus of exporting Nigerian food items to meet the yearning desire of Nigerians and Africans in the Diaspora for African Foods. 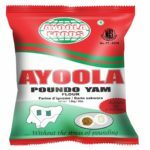 But in 2004 it shifted its focus to the Nigerian market with the introduction and aggressive promotion of Ayoola Poundo Yam, the flagship product of the company which today is the market leader among other brands in the country. 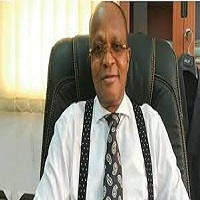 Mr. Olaye later saw the reason and the need to patronize the home market. He also saw the need to provide opportunities for young Nigerian graduates who roam the streets without job. “That was our driving force. We later saw the need to contribute to the economy of Nigeria. Though it has been challenging we have had to play along.” He said. To further give many Nigerians the opportunity to benefit from its products, the organization has continued to increase its presence in Nigerian market and has also had to enhance the quality of its products. The plantain flour for instance has been discovered to be a great food item for all. It is made from unripe plantain. Apart from Plantain flour, its star product, poundo yam has over the years enjoyed patronage from Nigerians in diaspora who want to enjoy the benefit of eating pounded yam without going through the stress of pounding. The product has made life easy for housewives and many who would not like to go through the time wasting process of pounding. Though exporting was a good way of earning foreign exchange for Nigeria, he recalled that the need to impact the Nigeria market and also satisfy customers in Nigeria informed the decision to start selling in Nigeria. “One elderly Igbo woman returned to Nigeria from Houston, US. But while she was there, she used to eat our fufu (cassava flour), which has no smell like the one people consume here. “She came to visit her family in Nigeria and she told them to buy our fufu for her. The children went everywhere but couldn’t find it. The woman was surprised that even in the US, she used to get the product. She then told her people in Houston to send our fufu wrap to Nigeria so she could show her children. She gave the wrap to the children, still they could not get it. One day, as the children went to work, the woman took a cab and traced our office address. I was in the office that day. When I received her in my office, she brought out the fufu wrap and told how she used to eat our fufu in Houston but couldn’t get it in Nigeria. She asked why it was so. I told her we weren’t selling any of our products here, but for export.